Have I Ever Told You How Much I Hate That Software? Then things get interesting. Most kids stick with the Google slides option, but a few kids will go into that other software; starts with a ‘P’, ends with an ‘i’ and has a ‘rez’ in the middle. The kids love it. I get sea sick easily, and am not so much of a fan. A poor PowerPoint beats a poor Prezi any day. I love that not only are my students picking their tools based on what they want to accomplish, but they have the confidence to tell me they are right, and to go away. Its going to be a fun year! 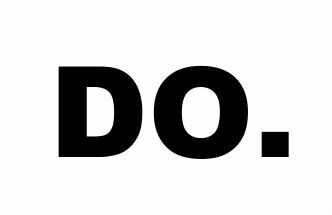 Note to self: Do is the way to go. The first day of school this year absolutely wiped me out. I was exhausted. I didn’t understand why the kids were so worked up. Some periods I was having a really hard time keeping the kids’ attention. I didn’t get it. I thought I was loosing my touch. I don’t have days like this, especially not on the first day of school. Over the summer I had the opportunity to see a keynote by @fitzwalsh and then talk to him afterwards about my plans for the year. He introduced me to the idea that talking was the enemy of do. If we want our kid to do, then we need to stop talking about it, and well, do it. I was all excited about the new year, and how it was going to be all about DO. And how did I start? I talked. I fell into the trap. I went the traditional way. I talked. A lot. And it sucked. From here on out, its DO. I just came home from my last professional development of the summer. Today was the first ever EdCamp San Joaquin. This was a free “un-conference” that was sponsored by the Teachers College of San Joaquin and Central California CUE. The event, like all edcamps was free to the participants, and the program was decided upon by the participants themselves once they arrived. I had an amazing time learning all kinds of new things to try in class starting -ugh- next week! Really the best part was that this was just one of several fantastic professional development events I attended this summer; CUE Rockstar Teacher Camp, Google Apps for Education California Summit, the Google GeoTeachers Conference and more. What did these all have in common? They were all attended by willing participants. No one (that I know of anyway) was “sent” to any of these events. They were all teachers, admins, and others who came out during the summer, on their own time, with the intention of improving their craft. And that willingness to give up their own time to learn something new really truly makes a difference. So I want to thank all the people- those that I know and those that I do not know- who gave up time this summer and willingly, enthusiastically participated in or organized these events. You really make a difference. And to those who won’t give up your own time without getting paid? Well, you are just missing out, and so are your students.